The wise words said above are a window to showcase the true personality of Bill Gates, an American Business Magnate. 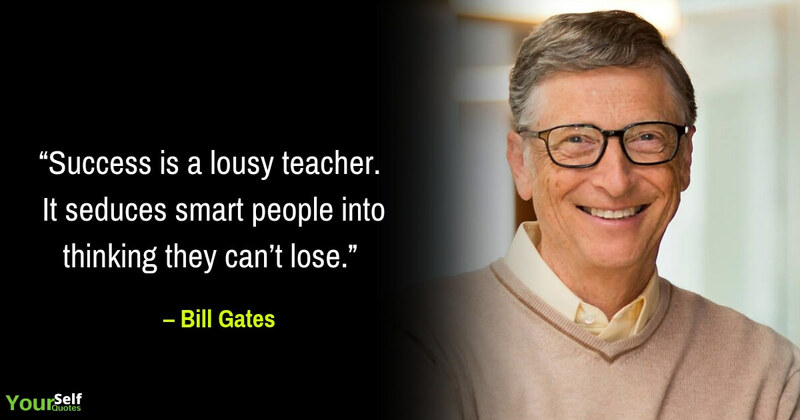 He is well known & famous as the principal founder of Microsoft Corporation. Moreover, he was the only one who has given the highest amount of charity among the greatest philanthropists. 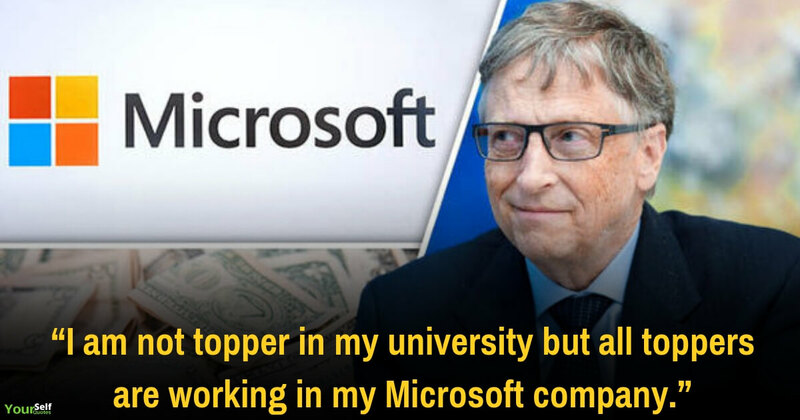 Currently, he is the richest man in the world and was also included in the Forbes list of the World’s wealthiest people. 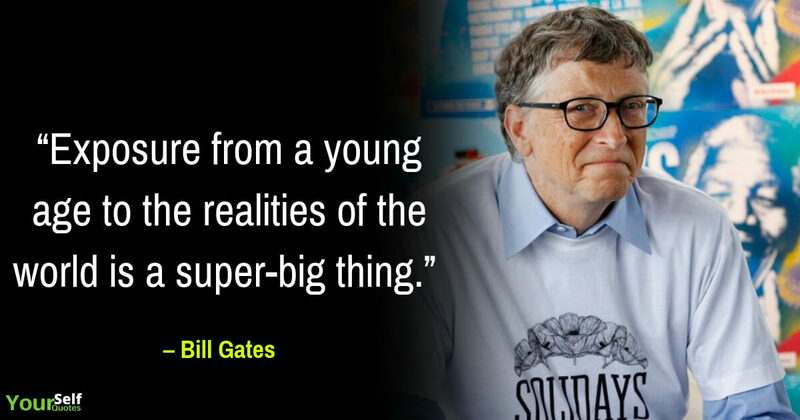 At a very young age of 13, Bill Gates wrote his first software program. In 1975, he joined his friend Paul G. Allen to establish software for the first Microcomputers. 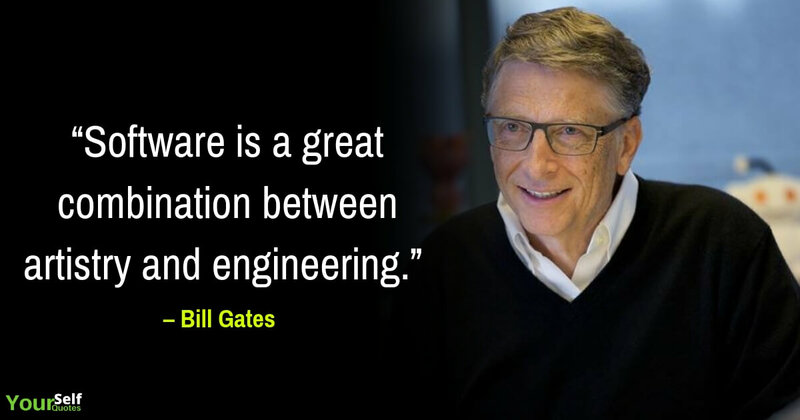 Later with Allen, Gates formed Microsoft. Gradually Microsoft licensed an operating system called MS-DOS to International Business Machines Corporation – WHICH Gates used on its first microcomputer, the IBM PC. 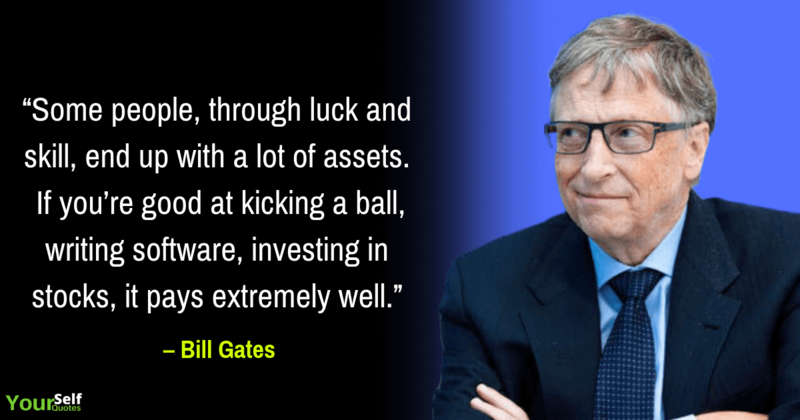 Gates gathered a huge paper fortune as the company’s largest individual shareholder, on the huge success of Microsoft. In 1986, he became a billionaire, and within a decade he reached to the tens of billions of dollars, tilting him into the world’s richest private individual. 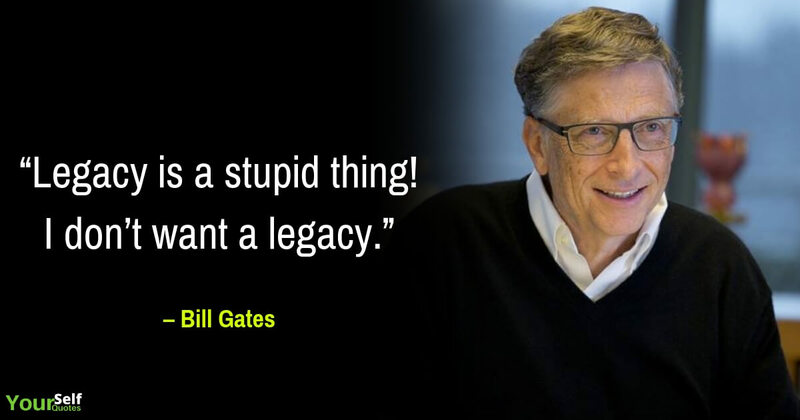 Bill Gates became a public figure when Microsoft’s power and reputation grew. In 1995 & 1996, he focused on the development of Consumer & Enterprise Software solution for the Internet. In addition to work, at Microsoft, he gave a huge helping hand at charitable work. 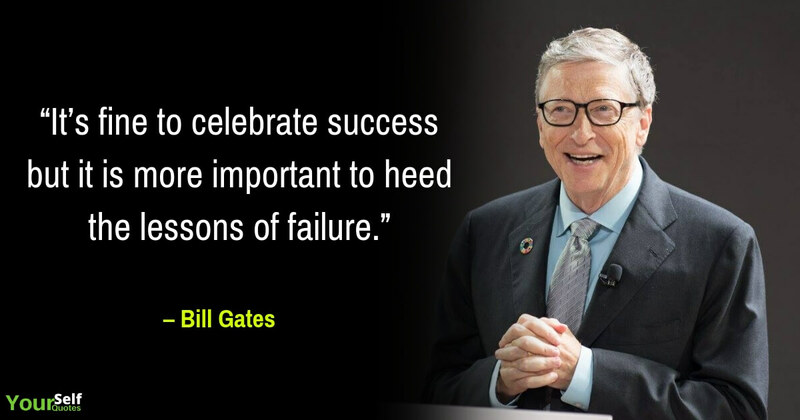 He started the William H. Gates Foundation with his wife, Melinda in 1994 to fund global health programs, later renamed as Bill & Melinda Gates Foundation in 1999. Warren Buffet, in 2006 announced a big gift to the foundation that will allow its assets to total roughly $60 billion in the next 20 years. At the beginning of the 21st century, the foundation continued with the aim of global health & global development, with an added focus on community and education causes in the United States. In 2016, he was awarded the title Presidential Medal of Freedom. 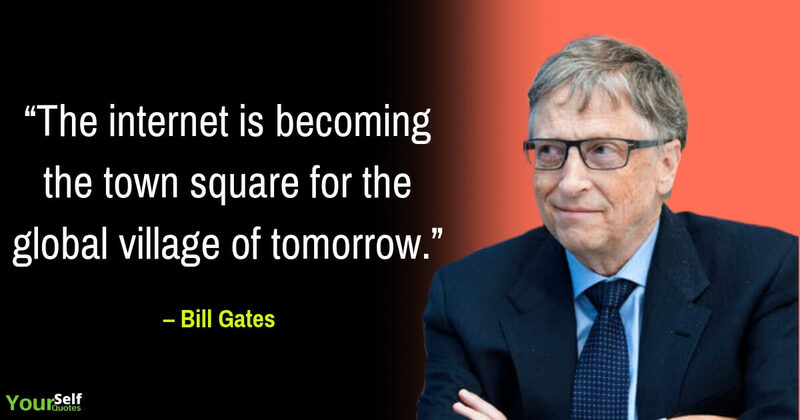 Currently, he is aging 63, and he is among the World’s richest man. 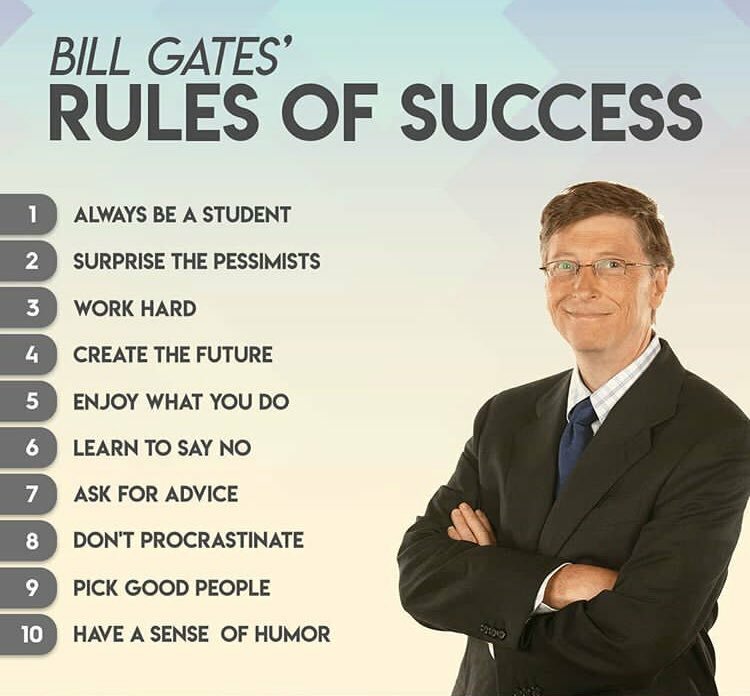 Bill Gate’s Top 10th Rules of Success. Which one is Your Favorite?? 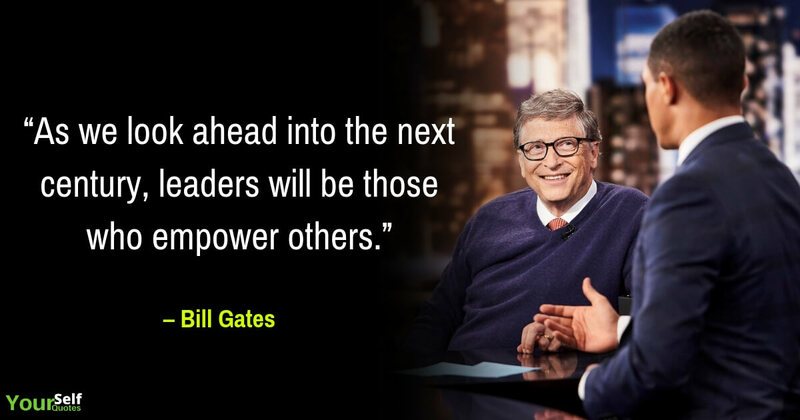 The inspirational words by Bill Gates illuminated the spark of innovation, the foundations of success, and a healthy promise to the future. He is very much realistic in his thoughts and process. His keen interest in technology & software was a blessing for all of us to enter the digital world. 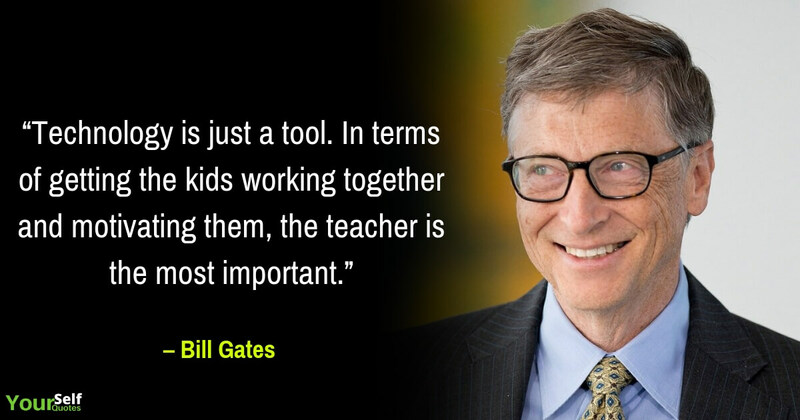 Bill Gates is a man whose words and quotes leaves a foot-print for coming generations to walk-through and gains more insights about him and his work style. 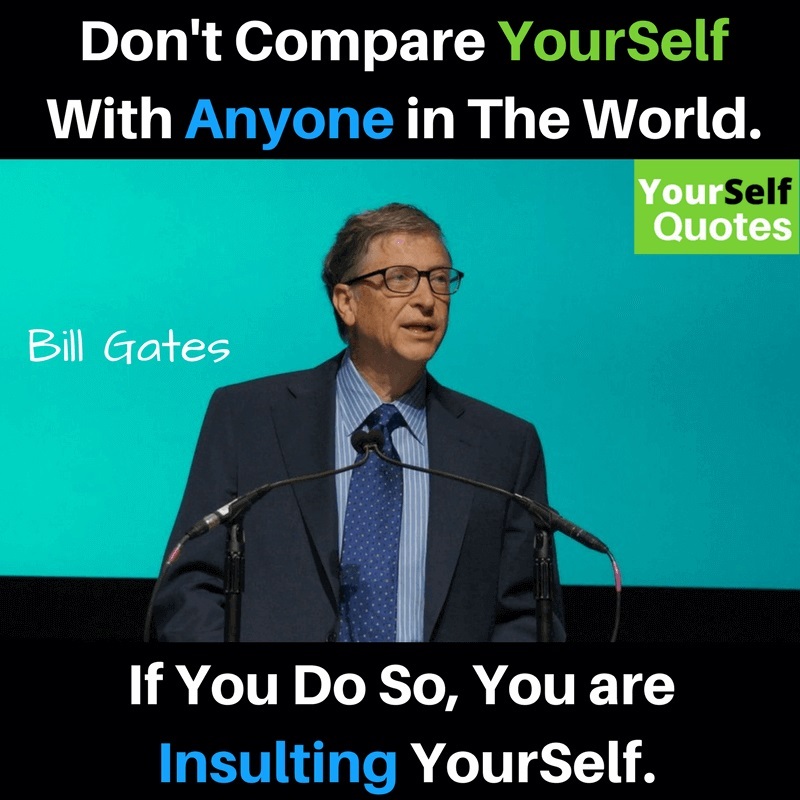 In short, if you want to live a smart life as an intelligent man, Bill Gates then follow his theory and read the smartest Quotes by Bill Gates only at Yourself Quotes. 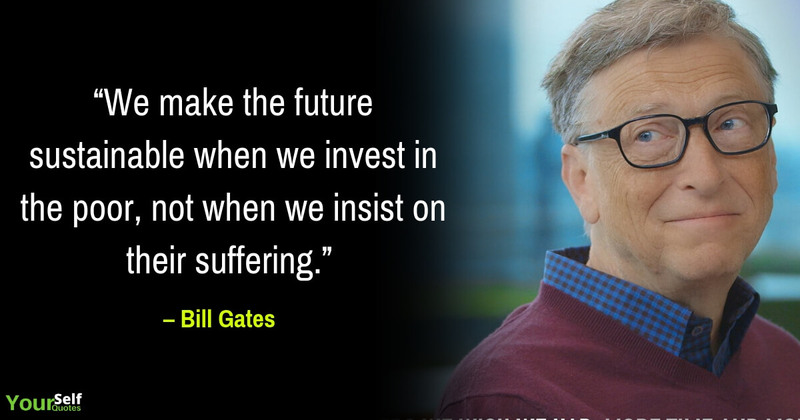 Share smart Bill Gates Quotes with smart people over the internet & other digital platforms to make them smarter & wiser in life.